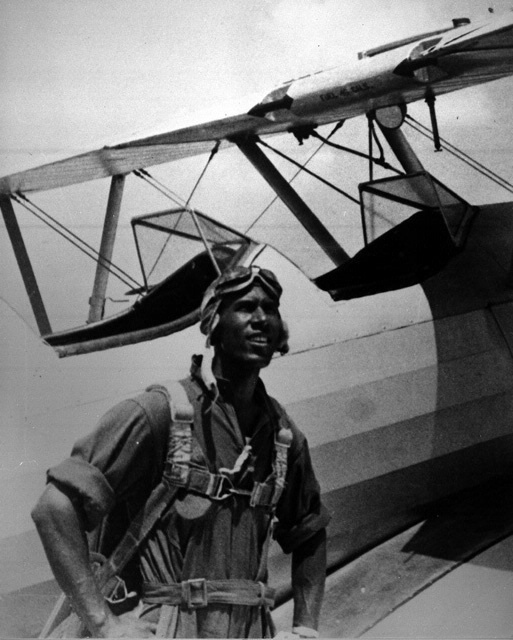 Linkwood Williams stands next to his training aircraft. Linkwood Williams stands next to his training aircraft. He was one of several talented black aviators who served as instructors for primary flight training at Tuskegee Airfield.